Over the last year the Club has seen a number of changes. 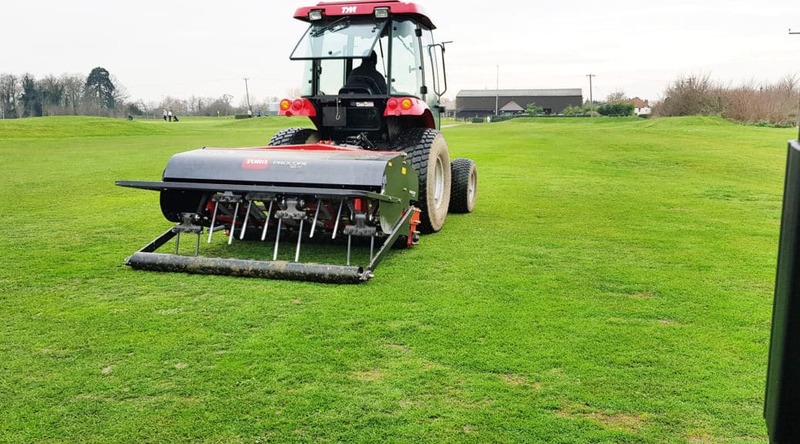 A new Course Manager, Anthony Sharman took over everything course related from Dave Webster in January 2018, and the club acquired some new course machinery, from which they are already seeing a difference in the way the course looks and plays. Comments from members and visitors have been positive and have spurred the team on. Improvements have been made to the entrance and front of the club, with the new garden and lawn area where the conifers and the carpark used to be. The decking has also been renewed and extended, offering more outside seating. The next phase is to change how the course plays, which has been trialled since June 2018 and has worked out well. The 10th hole will become the 1st and vice versa. Come and try the new look course!